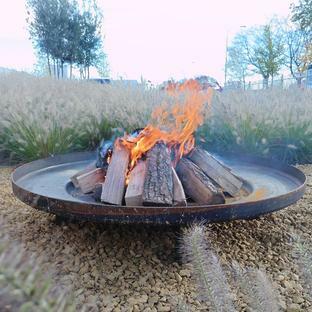 A stunning and dramatic fire pit for your outdoor space or garden. 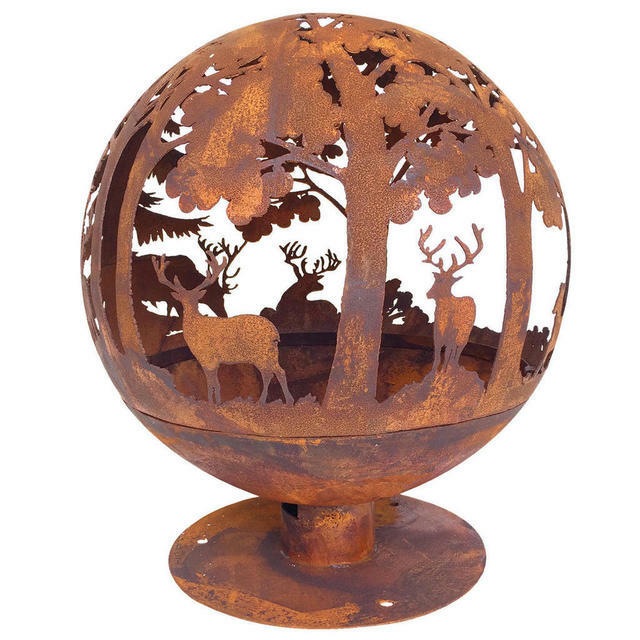 This globe-shaped fire pit is a dramatic statement piece for your outdoor space. 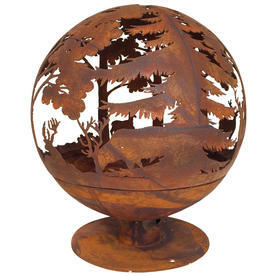 With a laser cut image of a highland scene of stags and wooded forest, the imagery comes fully to life when the logs are lit and burning. The flames will glow and flicker through the dramatic aperture shapes. 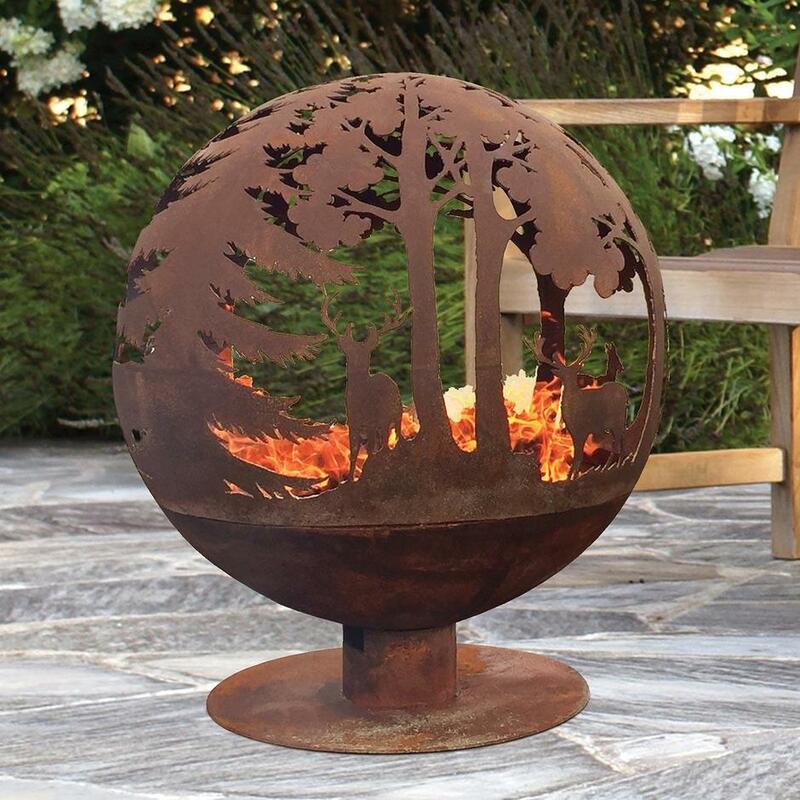 Click here to add our Kiln dried, Seasoned hardwood logs and Kindling, so that you can use your Globe Fire Pit as soon as it arrives. Made from steel with a rusted finish. Drainage hole in the base. 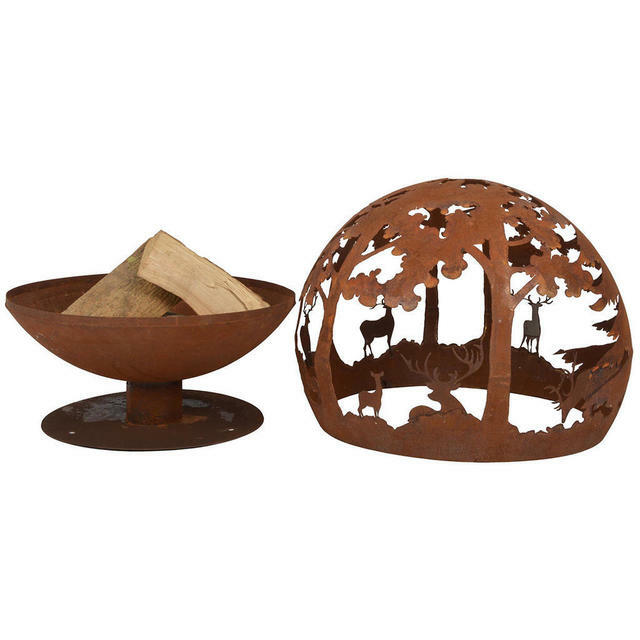 The fire pit come in 2 pieces, the base and then the globe which fits on top. 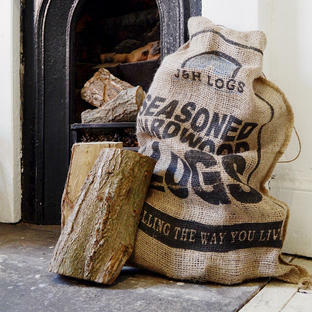 Feed the logs through at the back. Lift the top off for easy cleaning as required. 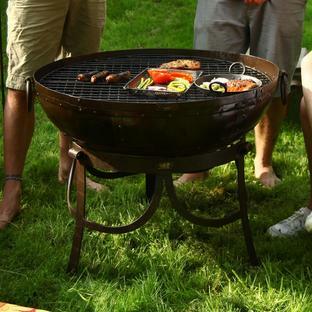 Put some sand into the base of the pit, before putting the logs on top to encourage the heat to be cast upwards. Always light the fire in advance to snuggling around, and use seasoned or kiln dried wood for the best effect.